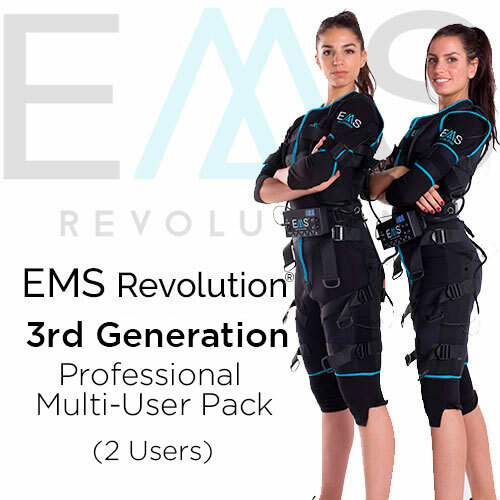 Advanced last generation wireless EMS system will allow you to simultaneously activate over 350 muscles in just 20 minutes. This software has everything you need to immerse yourself in a virtual world without limits where you would experience the explosion of stimuli and work out at the same time. With more than 250 exercises divided in different sessions depending on physical condition, your client will be completely independent during the session. 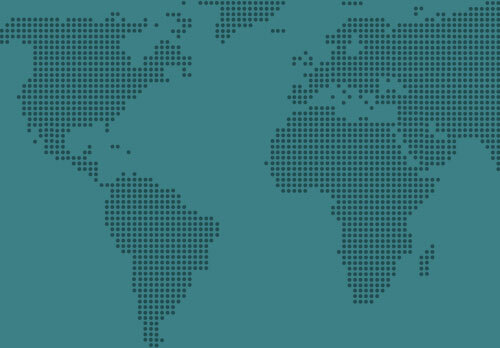 Unique system that automatically sends results report after each session. 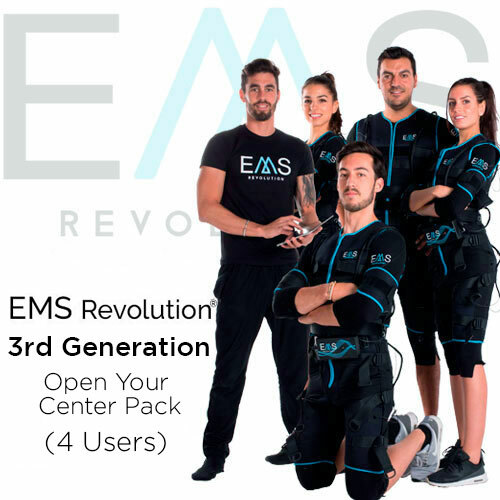 Thanks to our EMS Revolution® unit which includes software for live monitoring and virtual trainer, we have achieved that one trainer can control multiple devices simultaneously. 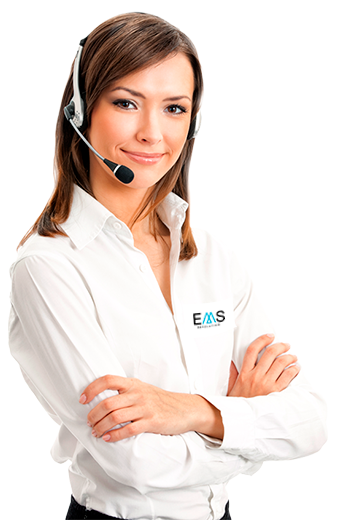 Thanks to our EMS Revolution® unit which includes software for live monitoring and virtual monitor, we have achieved that one trainer can control multiple devices simultaneously.